Billboard reports that Chris Brown’s comeback album, F.A.M.E., will likely debut at Number One on next week’s chart (week ending April 2). The set is expected to sell between 250,000 and 300,000 copies its first week of release. Brown has never topped the Billboard 200. His 2005 self-titled album peaked at Number 2, 2007’s Exclusive reached Number 4 and his 2009 collection, Graffiti, stopped its climb at Number 7. The 21-year-old R&B singer gave himself a lot of media attention after appearing on ABC-TV’s Good Morning America on March 23. Angered by co-host Robin Roberts’ questions about his 2009 attack on former girlfriend Rihanna, he left the stage following a musical performance and threw a tantrum in his dressing room. ABC News reported that he also smashed a window in the room. Later that day, Brown appeared on BET’s 106 & Park show and apologized for his behavior. He said he expected the interview to stay on the subject of his music and new album. 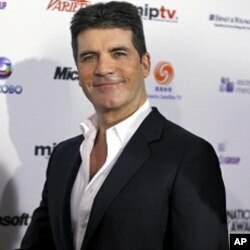 Auditions for the U.S. premiere of Simon Cowell’s upcoming reality show X Factor will begin on March 27 in Los Angeles. Additional auditions are scheduled on April 7 in Miami, Florida; April 14 in Newark, New Jersey; April 20 in Seattle, Washington; April 27 in Chicago, Illinois; and, May 26 in Dallas, Texas. Unlike American Idol, there is no maximum age for contestants. The minimum age is 12. X Factor will launch later this year on FOX-TV. The winner receives a $5 million recording contract with Sony Music. On March 29, Jive Records will release Britney Spears’ new album, Femme Fatale. In advance of its release, AOL Music has been hosting a listening party. Free streams of all 10 songs can be heard through April 5. The album’s debut single, “Hold It Against Me” topped charts in seven countries, including the U.S. The second single, “Till the World Ends,” peaked at Number 9 on the Hot 100 (week ending March 26) and falls to Number 23 this week. 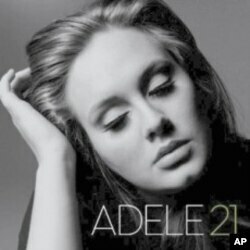 British pop singer Adele returns to the Number One position on this week’s Billboard 200. This is her third non-consecutive week in the top spot. Debuting in this week’s Top 10 are Endgame by Rise Against at Number 2 and Give the Drummer Some by Blink-182’s drummer Travis Barker at Number 9. On March 29, Country stars Charlie Daniels, Wynonna Judd, Montgomery Gentry and The Grascals will perform at the “Operation Yellow Ribbon” fundraiser. The annual Nashville event benefits Lipscomb University’s Yellow Ribbon Program, which offers eligible post-9/11 GI Bill veterans and their family members an undergraduate degree tuition-free or at a reduced rate. This year’s keynote speaker is General Tommy Franks (Ret.). On March 27, the 40th annual Juno Awards will be handed out in Toronto, Ontario. The Juno Awards are Canada’s equivalent of the Grammys. Drake leads the contenders with six nominations, including Artist of the Year and Album of the Year for “Thank Me Later.” Justin Bieber follows with four nominations. The complete list of nominees is available at www.Juno.ca. Two special awards will be presented during the ceremony. Neil Young will be honored with the Allan Waters Humanitarian Award in recognition of his philanthropic work. Deane Cameron, President of EMI Music Canada is the recipient of the Walt Grealis Special Achievement Award. The award recognizes an outstanding individual who has contributed to the growth and advancement of the Canadian music industry. In addition, Shania Twain will be inducted into the Canadian Music Hall of Fame. This will mark the first time since 2003 that the 12-time Juno winner has attended the awards show. Look Who's Going On Tour! On March 31, 23-year-old pop/hip-hop singer Mike Posner will begin a U.S. tour in Brooklyn, New York. He’ll be supporting his debut album, 31 Minutes To Takeoff. The set includes the hits “Cooler Than Me,” “Please Don’t Go” and his latest single “Bow Chicka Wow Wow,” which features rapper Lil’ Wayne. Rap newcomer Wiz Khalifa launches his 17-city “Green Carpet Tour” on April 1. His new album, Black and Yellow, will be released three days earlier. In other news, Wiz Khalifa has signed on to appear in Snoop Dogg’s upcoming film, High School. Filming begins in May. Wiz also collaborated with Snoop on a song called “This Weed Is Mine,” which appears on Snoop Dogg’s new album, Doggumentary.